Convert your flat roof to a pitched roof with L Nuttall Roofing and bring your property up to date. Serving clients in Wrexham, Clwyd, and the surrounding areas, our specialists perform full conversions. Although flat roofing technology has advanced in the last years, this type of roof still causes structural problems as a result of poor, outdated design. When you choose our roofing company, you’re guaranteed a roof that is built to last. 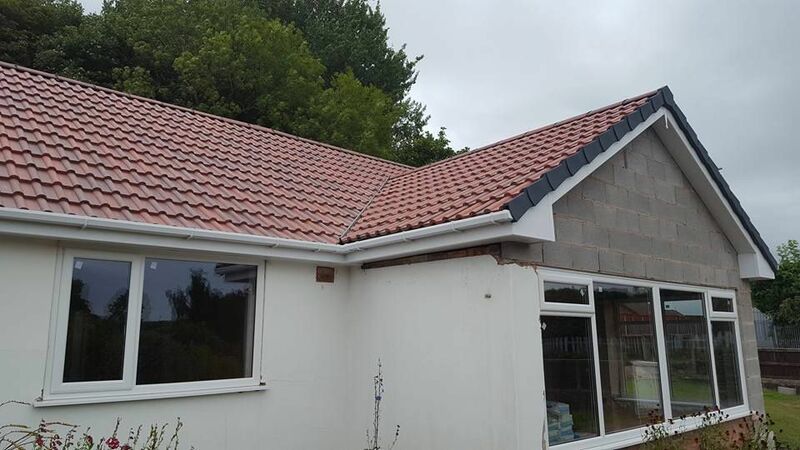 Once the structural timberwork is done, your new pitched roof is slated or tiled to match the appearance of the rest of your roof, making it look like it’s always been a part of your home. With a traditional appearance, pitched roofs are easy to maintain and they even add value to your property. At L Nuttall Roofing, we specialise in converting troublesome flat roofing to quality pitched roofs. With more than 20 years’ experience in the industry, our roofing experts offer professional, all-inclusive roof conversion services, from the initial concept stage through to project completion. Contact us now for a free quote on a professional pitched roof conversion in Wrexham, Clwyd, and all surrounding areas.